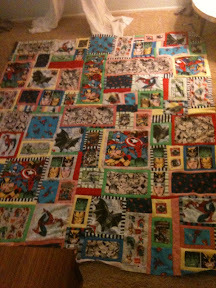 Allison and I worked on Noble's superhero quilt while I was down there. We got the top done. Noble was so excited about it when I got home. 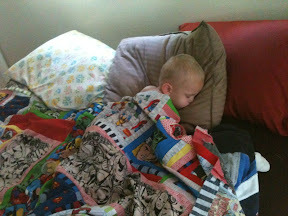 He insisted on taking a nap with it, even though it is only the top.